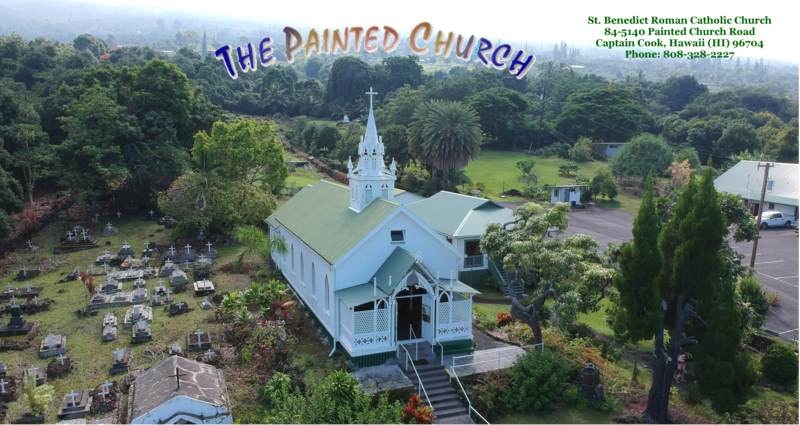 Overlooking beautiful and historic Kealakekua Bay, St. Benedict’s Painted Church is a fascinating place to visit on your journey to the Big Island of Hawaii. Located in the famous Kona coffee growing region, it is the jewel of South Kona, at a place called Honaunau. 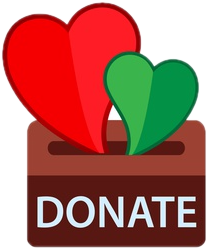 While it is an important historical site, it is still a vibrant parish, with outreach programs to take care of those in need and to provide medical services for our local community. 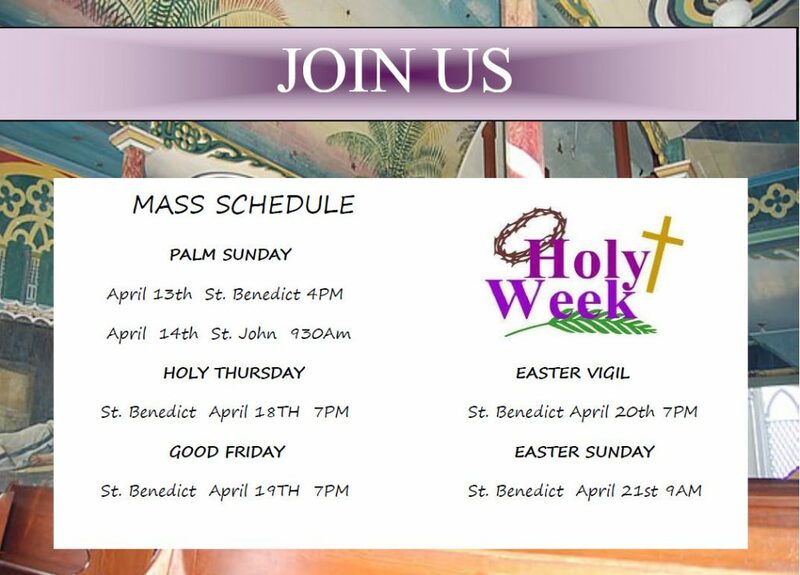 We, the South Kona Catholic Church, comprised of St. Benedict, Honaunau and St. John, Kealakekua; united in the Baptism of Jesus Christ, through the power of the Holy Spirit, are committed to grow in understanding of and live as the people of God. Together we seek to create a warm and loving community of the Lord in our Church and families. We affirm our faith in the Living Body of Christ and reach out to our brothers and sisters in our community to share the Good News. This present church was erected in 1899 by Father John Velghe. Without any professional training and using house paint on ordinary wood he beautified the church with his paintings. In those days few Hawaiians could read and so he taught with pictures-most successfully.